NEW independent tests done at a world-class ballistics laboratory have found a man who police believe "accidentally'' killed himself with a shotgun could not have been holding the weapon. Jeffrey Brooks died in 1996. The "range-of-shot'' results that put the gun well out of reach matched other testing conducted by the victim's family and Victorian experts commissioned as part of a WorkCover investigation. The latest findings, by a firm that works with the Australian Defence Force and military clients around the world, bolster a push by the family of Jeffrey Brooks to have his case reopened. 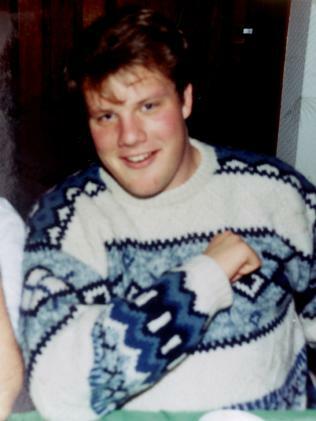 Jeffrey, 24, died at the Beenleigh Crayfish Farm on March 13, 1996. With scant forensic investigation, police determined his death was an accident caused when the experienced hunter shot himself by pulling an old gun out of a ute by the barrel. Police said the range "of most agreement'' between the muzzle and the wound in Jeffrey's chest was 50cm. However, experts who have reviewed the case for The Courier-Mail's true crime podcast, Dead Wrong, say evidence on the victim's body does not match this estimation. This is due to the absence of gunpowder "tattooing'' that ballistic textbooks say is present in wounds cause by a shotgun blast at up to 1m. Reach tests on men the same height and build as 188cm tall Jeffrey showed the maximum distance between muzzle and chest was 65cm. A re-enactment using a similar vehicle and firearm could not replicate the downward angle of the shot proposed in the police theory due to the extremely low roof of the vehicle, cramped interior and height of the person involved. While some autopsy photographs and X-rays are now missing from Jeffrey's case file, the autopsy report by Dr Charles Naylor of the John Tonge Centre documents the fatal wound as measuring approximately 3cm. Expert Ben Eu carries out tests using ballistic gel. The Courier-Mail commissioned range-of-shot tests at a state-of-the-art laboratory in Melbourne to discover at what distance this wound could be replicated. 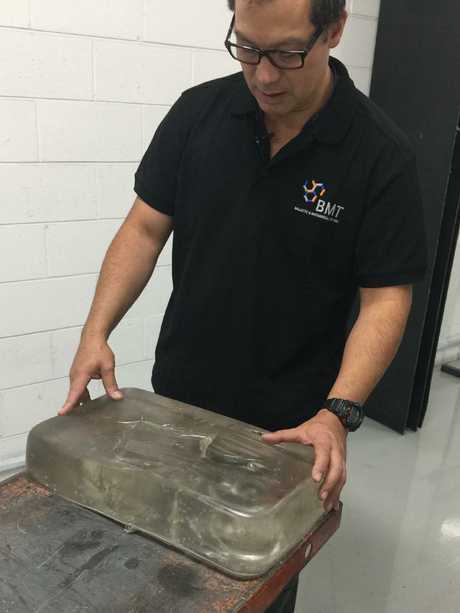 These were carried out by expert Ben Eu at Ballistic and Mechanical Testing, which tests and certifies body armour and vehicle glazing that protects soldiers and police officers. 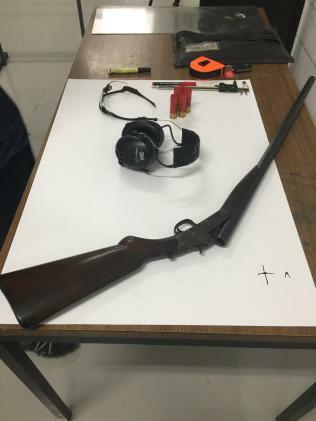 The shotgun used during testing. Mr Eu used the same shotgun - a 1901 Harrington and Richardson - with the same exact specifications as the gun that killed Jeffrey, and the same ammunition. Unlike previous tests that were done using pigskin or cardboard, Mr Eu used ballistic gel, considered the closest representation of human flesh and used by the FBI and US Secret Service. 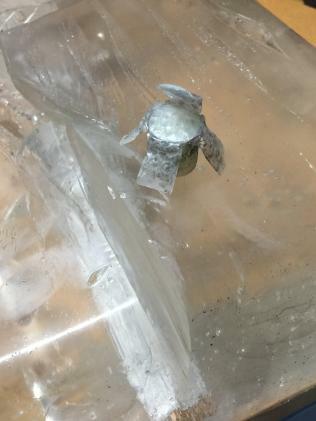 The slab of ballistic gel after a round has been fired into it. A shot fired into the gel from 65cm - the distance reach tests showed was Jeffrey's maximum reach - resulted in a wound of 2cm. For a shot fired from 1m, the largest measurement was 2.89cm, while a shot from 1.1m resulted in a wound of 3cm. 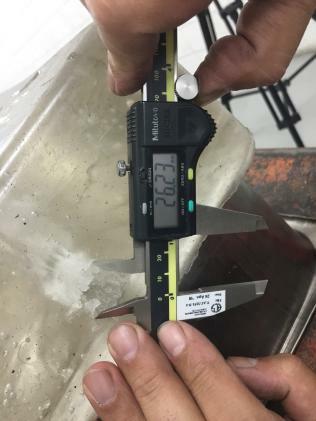 Ben Eu uses a measuring device to measure the hole from a shotgun round. A slightly longer range shot from 1.25m produced a hole 3.2cm in diameter. The 1.1m and 1.25m shots replicated other aspects noted in the autopsy report on Jeffrey, in that the wad - the plastic cartridge that holds the pellets - was embedded slightly in the wound. Mr Eu said the testing showed categorically that the 3cm wound could not be replicated at the distance police settled on.